Jo has always had a curious yet logical mind that is fascinated by people and why they do what they do. She has also always challenged the norm – and doesn’t like to do things just because everyone else does – in order to achieve happiness, success and fulfilment. These facts help to explain why Jo studied economics at University, why she was fascinated with NLP (Neuro-Linguistic Programming), why she travelled the world a couple of times, why she set up her own business, and why she wrote the world’s first self-help novel. After graduating in economics, Jo Blakeley entered the world of sales and quickly discovered that she had a talent for it. She surpassed monthly sales targets without really trying (but working hard of course), but despite earning large commissions, she wasn’t happy and suffered from depression. Refusing the Doctor’s offer of medication, she was determined to find a solution that didn’t involve popping pills. This began her journey of learning everything she could about personal transformation, from Neuro-Linguistic Programming (NLP) and Empowerment Coaching to Psychology of Vision and Life Coaching. In addition to transforming her own life, Jo discovered that she had a passion and talent for developing others via training and coaching. This eventually led her to join KPMG in its Learning & Development department. In 2007, Jo left KPMG to set up Orchard Training and has been fortunate to work with a number of prestigious organisations doing what she loves. As she is always striving to try new things, in 2017 she published the world’s first self-help novel – Blokes, Beers & Burritos – in a bid to help young women learn empowerment and self-belief in an entertaining way. 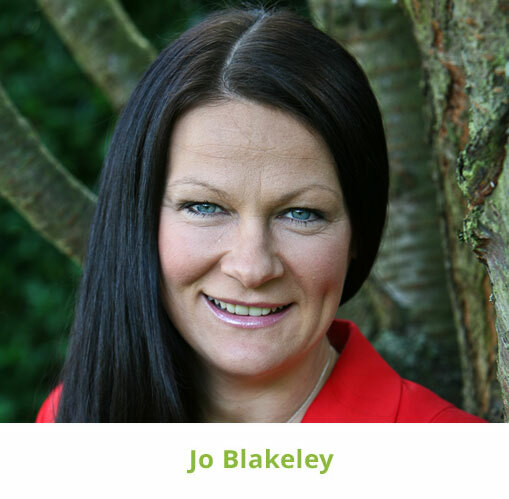 Using her own personal development and professional experience, Jo has developed a suite of blended learning courses which teach essential People Skills and the mind-set required for success in the workplace while harnessing her unique skill-set to transform delegates on an individual basis throughout the course. Throughout her career, Jo has trained thousands of managers and heard a common complaint that they felt ill-equipped to manage their teams. While their organisation had provided a short course to help bridge this gap, it wasn’t enough. As a result, Jo created The Whole Programme: a year-long programme designed specifically for managers to give them the mind-set, people skills and soft skills required to manage their teams effectively while carrying out their day job.